Snowboarding is tons of fun, sure. However, if our bodies aren’t prepared, we’re not going to be enjoying the ride for long. Standing sideways for hours on end, hips cocked outward, is hard on the legs and back. We huck in the park and bounce over bumps, then find ourselves surprised when a limp sets in. When our bodies are ready to shred (meaning the legs, feet, core and mind are both strong and flexible), we perform better, charge harder and ride longer. We at Active Junky recommend these conditioning techniques to ensure the body is well prepared for a big winter. 1. Flexibility – Stretching before snowboarding is important, but so is follow-up stretching. Get at least ten minutes on both ends of the day whenever possible. When limited with time, focus on the hamstrings and the hip flexors. Our muscles are interconnected via miles of tissue networks, so stretching the hammies and the hips will in turn loosen other muscle groups, including the lower back. To avoid tearing something, flex the quads whenever stretching the hammies. 2. Core Strength – Oblique twists with a weight in hand, like a medicine ball or cast iron plate, will prepare the abs and back for the abuse they’ll take while shredding. Do sit ups or leg lifts and twist at the core, touching the weight to the ground on both sides. Or get into ‘chair pose’ with the back against a wall and knees bent 90 degrees and twist back and forth, touching the weight to the wall on both sides between deep breaths. It’s easy to neglect the upper body when training for snowboarding. Keep the back strong and supportive with pull-ups and hanging leg raises from doorways, crossbeams or tree branches. 3. Leg Strength – Lunges and squats improve balance while toning muscles. Proper lunges, with the front knee directly over the ankle, shoulders and hips facing forward and the back heel pressed downward, work all leg muscles, hips and the lower back. Incorporate lunges into morning rituals, like dog walks, to kill two birds and increase your chances of shredding from first to last chair. Proper squats, with feet hips-width apart, back straight, knees over the ankles, quads and glutes flexed, strengthen the legs, feet and abdominal muscles. To amplify explosive power, jump and land with clean form between lunges or squats. 4. Endurance – Regardless whether we climb mountains to earn our turns or take advantage of lift access, the heart and lungs need practice working hard if they’re going to perform at high altitude with little oxygen. 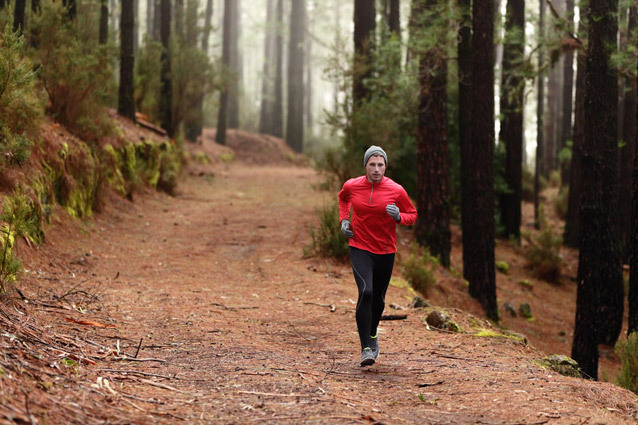 Pre-season running, hiking and biking will make a world of difference to cardiovascular performance come winter. If possible, find an indoor lap pool for the ultimate aerobic and full-body workout. 5. Massage – We can’t all afford regular massage therapy or talk our significant other into a chiropractic sessions. 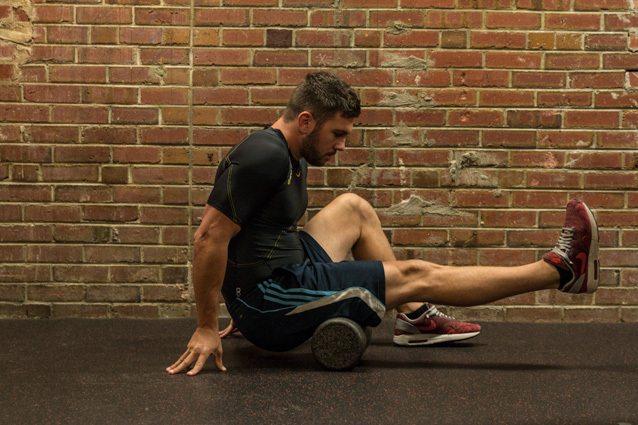 Fortunately, foam rollers are cheap. Crack and massage the back, break up the calves and quads and work out the IT bands. Deep breaths make all the difference here. Keep in mind, the firmer the roller, the deeper the massage. Pro tip: watching shred flicks can help distract from pain. 6: Watch Ski Movies - If we’re in poor mental condition for snowboard season, physical condition won’t matter much. Coincidentally, fall is ski movie premiere season. As winter weather starts creeping in and we find ourselves inside more often, hit ‘PLAY’, hit the floor and condition the body for snowboarding while simultaneously conditioning the mind. Check out 8 of the best shred movies on Netflix.